France’s Total company is targeting cost reductions of $4.7 billion in 2019, Trend reports with reference to the company. The Group maintains financial discipline to reduce its breakeven to remain profitable across a broader range of environments, reads the report released by Total. In particular, the French company is targeting projected net investments of $15-16 billion in 2019 and an Opex (operating expenditures) target of 5.5 $/boe (barrels of oil equivalent). "Since the start of 2019, Brent has traded around $60 per barrel in a context of oil supply and demand near the record- high level of 100 million barrels per day. In a volatile environment, the Group is pursuing its strategy for integrated growth along the oil, gas and low-carbon electricity chains." In Exploration and Production, Total’s production is expected to grow by more than 9 percent in 2019. In 2019, the Downstream will continue to rely on its diversified portfolio, notably its integrated Refining and Chemical platforms in the U.S. and Asia-Middle East as well as its non-cyclical Marketing and Services segment, reads the report. "In this context, the Group is continuing to implement its shareholder return policy announced in February 2018, by increasing the dividend in 2019 by 3.1 percent, in line with the objective to increase the dividend by 10 percent over the 2018-20 period. Taking into account its strong financial position, the Group will eliminate the scrip dividend option from June 2019. Within the framework of its program to buy back $5 billion of shares over the 2018-20 period, the Group expects to buy back $1.5 billion of its shares in 2019 in a $60 per barrel Brent environment." Total is a producer and supplier of oil, natural gas and low-carbon electricity. It is active in more than 130 countries. Total has been operating in Azerbaijan since 1996, primarily in exploration and production and the marketing of lubricants. Total has a 50 percent interest in the Absheron production sharing agreement in the Caspian Sea. It also has a 5 percent interest in the Baku-Tbilisi-Ceyhan (BTC) oil pipeline. 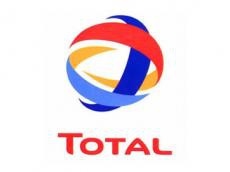 Total sells gas to SOCAR, Azerbaijan's national oil company and markets petrochemicals, automotive and industrial lubricants in Azerbaijan. It buys crude oil, especially from SOCAR.